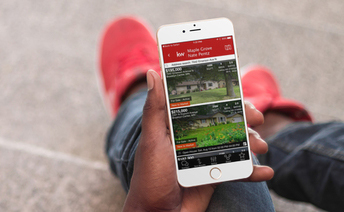 Customized tools to bring you the best experience in real estate search. Features:Easily connect with me and send property inquiries instantly.Draw a circle on the map or drop a pinpoint to search any area.See property details and full-screen photos, get driving directions, mark your favorites, create notes about what you liked, or share it with family and friends.Estimate your home loans with a free mortgage calculator.View open houses in any area.View rental properties in any area. See property details and full-screen photos, get driving directions, ark your favorites, create notes about what you liked, or share it with family and friends. To connect with us, please enter the agent code KW2HSJGHC at the startup of the app or via the “My Agent” button on the main menu. Once you’ve entered our code, you can contact us directly with questions or requests regarding any property.